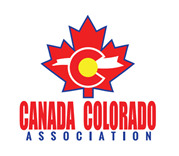 For the second consecutive year, the Canada Colorado Association has partnered with the University of Denver to offer its members discounted group tickets to the season-opening DU Hockey game. DU will play Mount Royal University of Alberta at on Saturday, Oct 1st, 2016, 7pm, at Magness Arena. Special guest, DU Head coach Jim Montgomery from Montreal, will be joining us in the room ½ hour prior to puck drop (6:30pm)! Members and friends are invited to gather 1/2 hour before the game and during intermission in a reserved private room near the southwest corner of Magness Arena on the main concourse. Raffle for cool prizes will be in the room. All are welcome to attend this event which had over 100 attendees last year. To purchase $10 tickets, follow the link below and enter CANCOL. Attendees purchasing tickets with this code will be seated together adjacent to the reserved room.